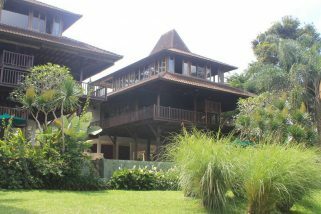 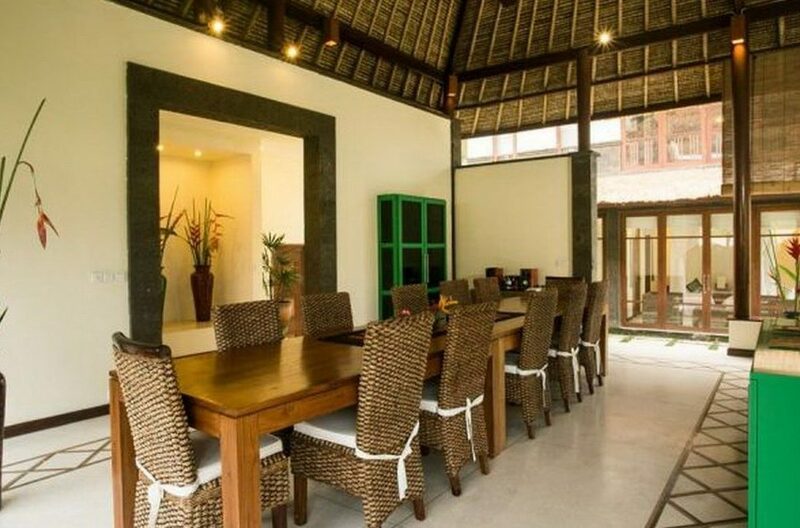 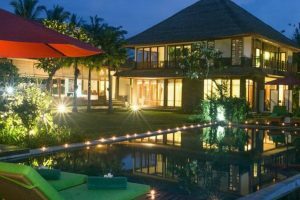 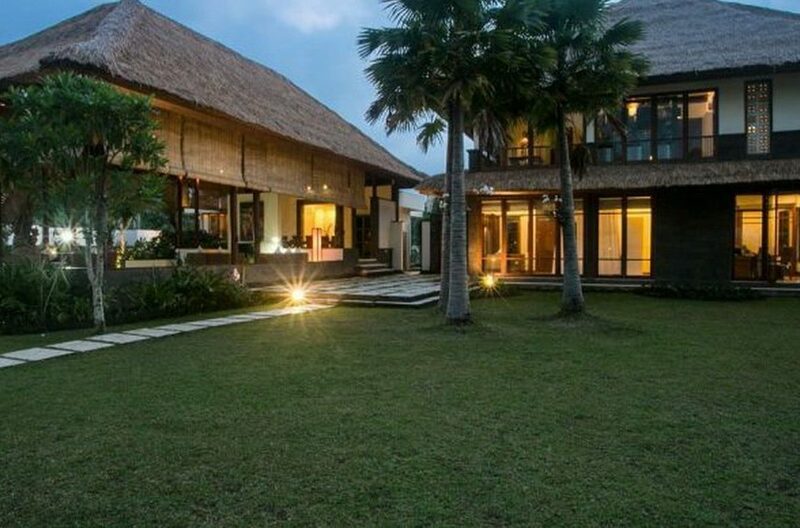 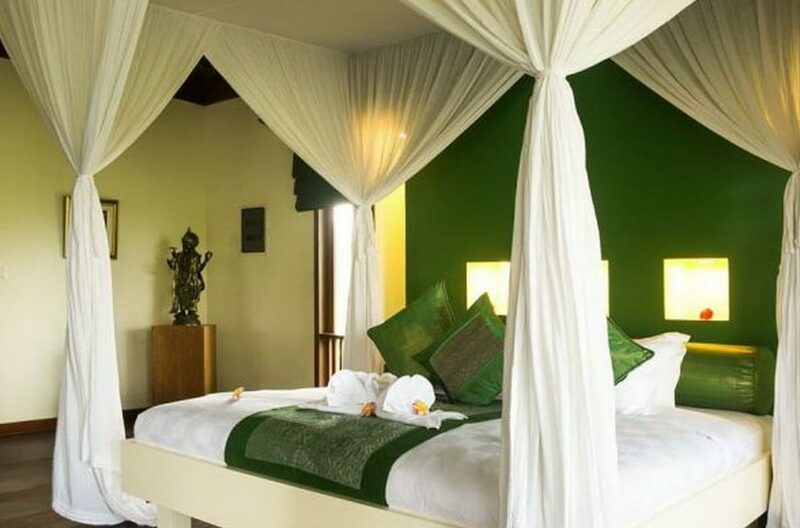 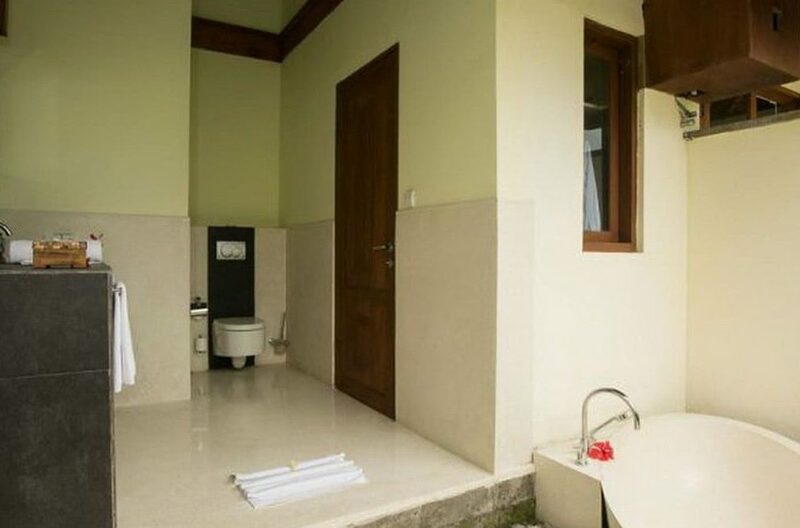 Villa Vastu in Ubud is a magnificent tropical country retreat with 4 luxurious bedrooms and is surrounded by peaceful rain forest on the outskirts of the cultural hub of Ubud. 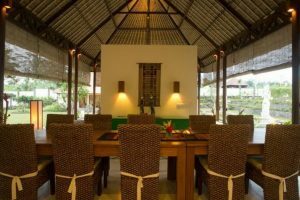 From the terrace, guests can watch the spectacular sunrise over the peak of Mount Agung, the highest and the most spiritually significant point on the island. This extensive 2 storey property is a truly unforgettable start to any island adventure and delivers guests luxury service from a team of committed staff, every modern convenience you can imagine and a truly exquisite location. 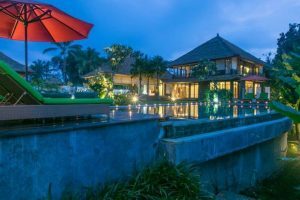 The grand, sympathetically manicured garden is one of the highlights of this house and it contains not only a large swimming pool suitable for laps but also a beautiful ornamental pond, snaking pathways and time honoured statues of the Gods that make this island their home. 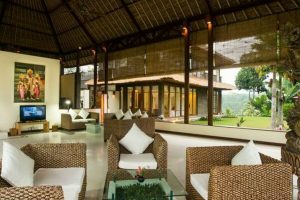 There are a plethora of lovely spaces to soak up the divine tranquillity of your surroundings from the wooden decking and loungers beside the pool to an authentic Bale Belong with comfy cushions. 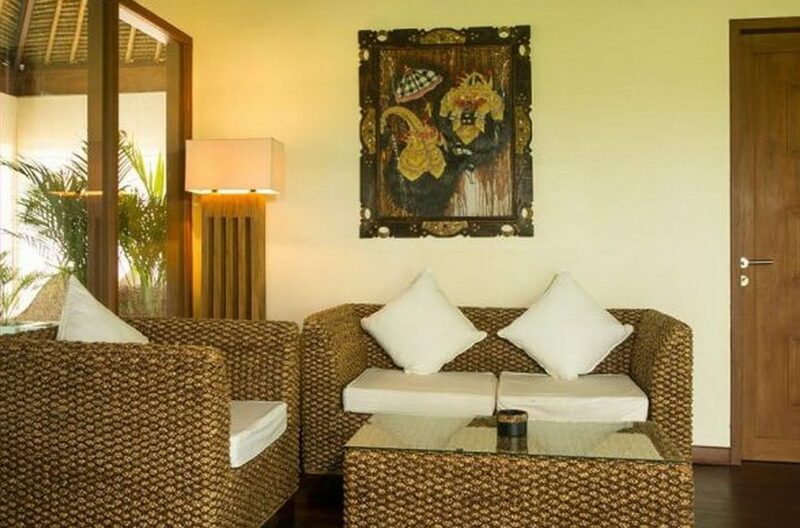 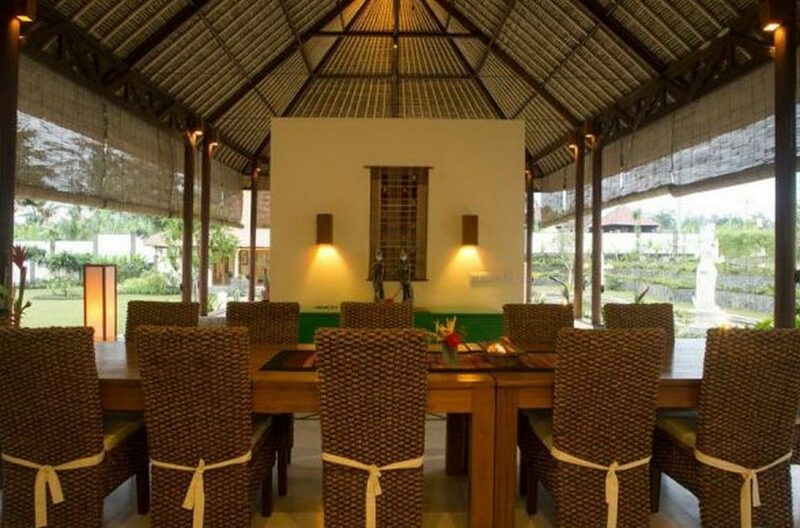 Gorgeously contained in a large open sided pavilion, keeping you at all times connected to the amazing outdoors, is a large open plan living area comprising of an elegant dining table, comfortable rattan sofas and Satellite TV and a DVD player. This is a truly exotic space to recline with your family and friends, sample the delights of a coconut or two and watch a movie. There is also a fully fitted kitchen containing everything you may need for the duration of your stay. 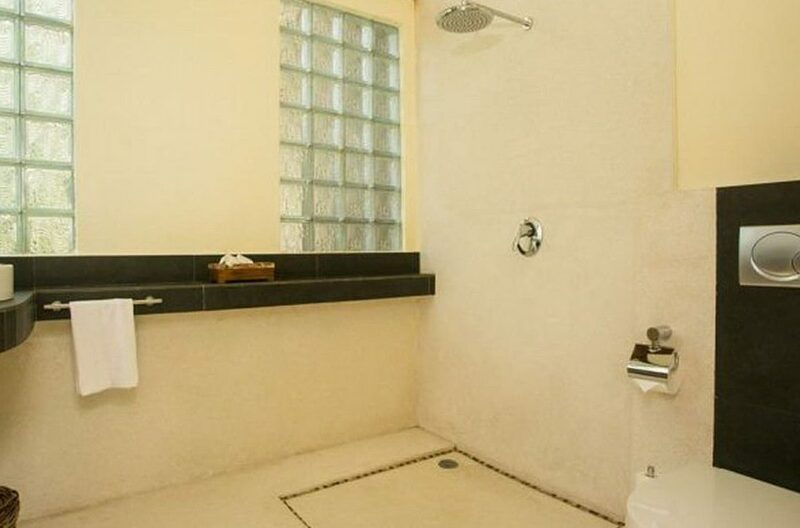 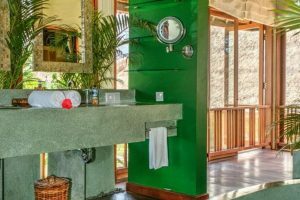 All the bedrooms are fully air conditioned and have large innovative ensuites which contain both a bath and a separate shower. These are the height of luxury and the best place for a long soak after an open air massage in the Bale Belong. 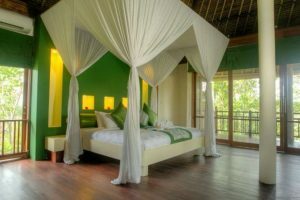 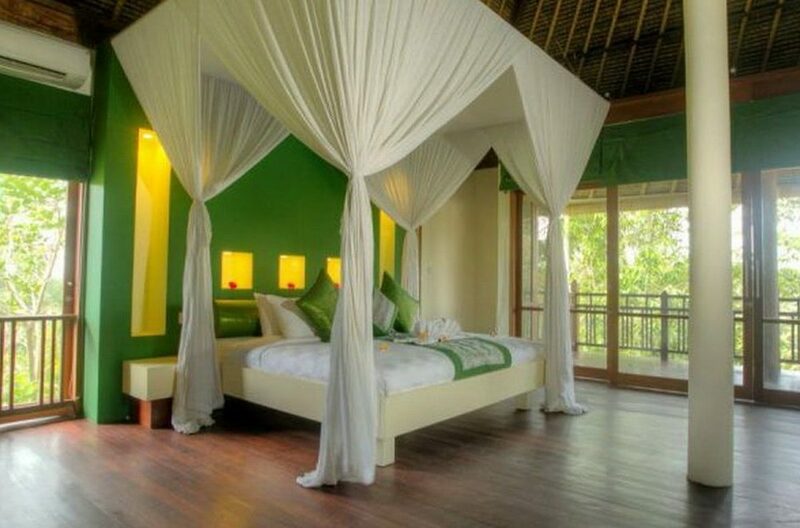 The master suite contains a delightful king size canopy bed dressed in cool, fresh white linens. 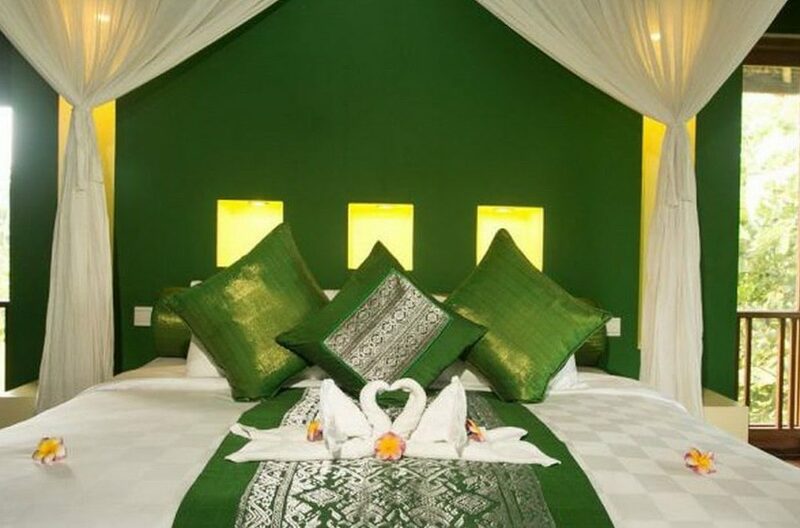 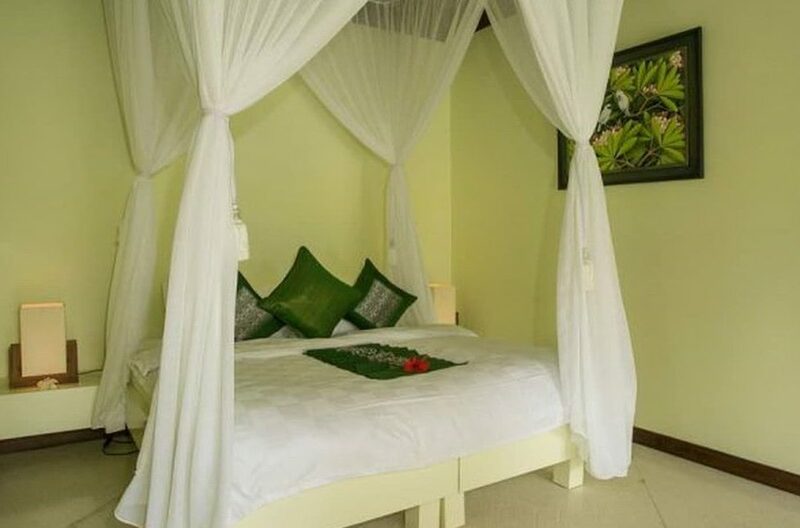 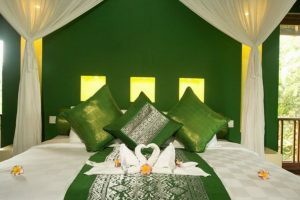 The 2nd bedroom is furnished with twin beds and the further two bedrooms both have queen size beds draped in fine white curtains. All the rooms upstairs benefit from the balcony which runs around the house providing more outstanding views of natural beauty. On hand to look after you during your stay are two service staff, a housekeeper, a gardener and a pool attendant. 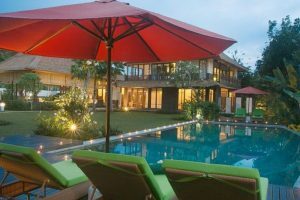 A driver with a car can also be arranged at extra cost along with a range of other services including spa treatments, scooter rental and the hire of a pool fence. 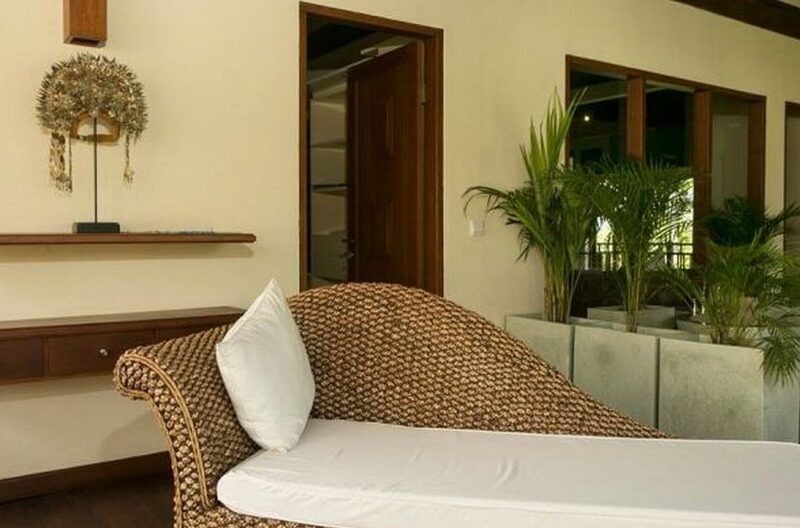 This is the perfect glamorous hideout, a place where life happens at an entirely different pace allowing for the ultimate experience of replenishment and rejuvenation. 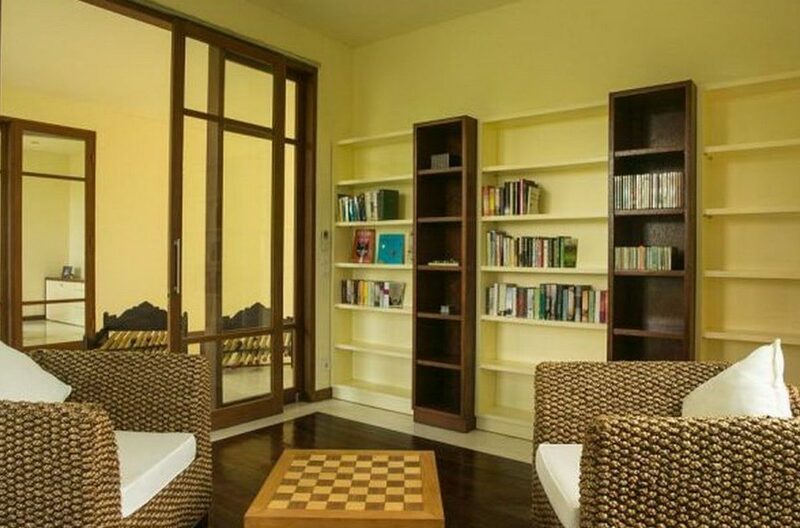 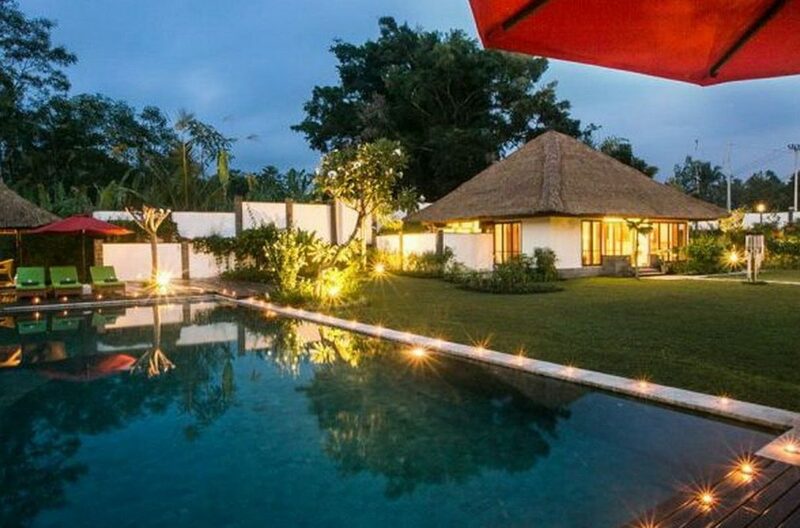 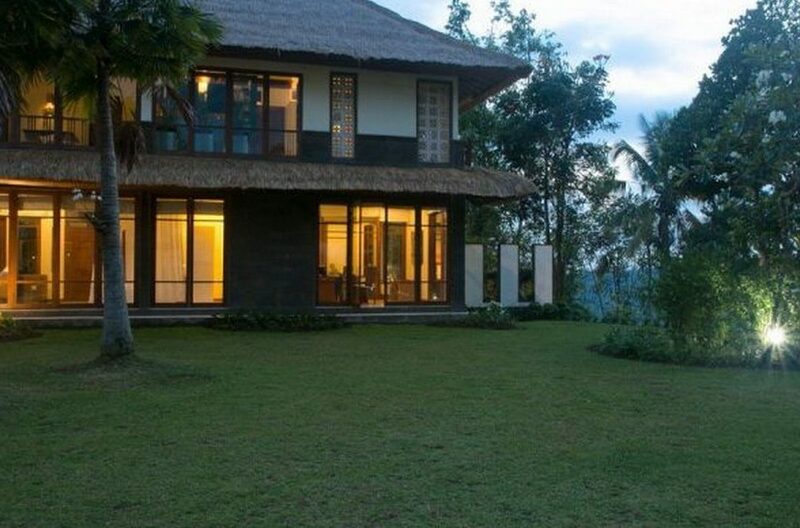 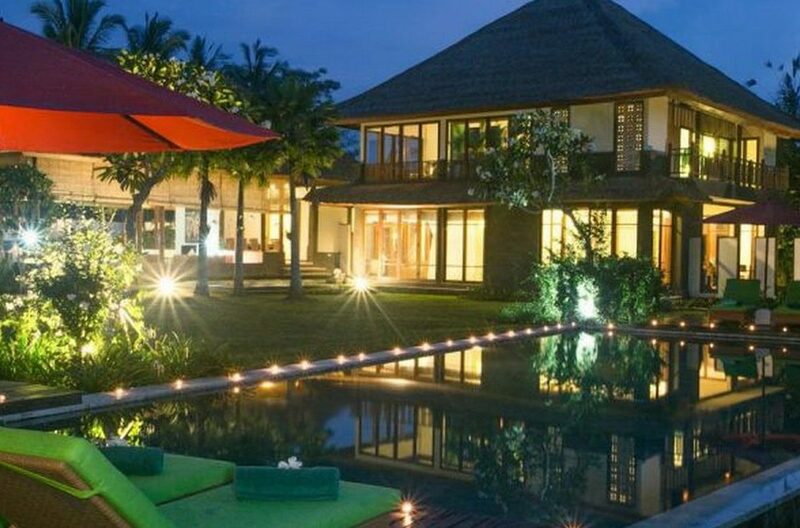 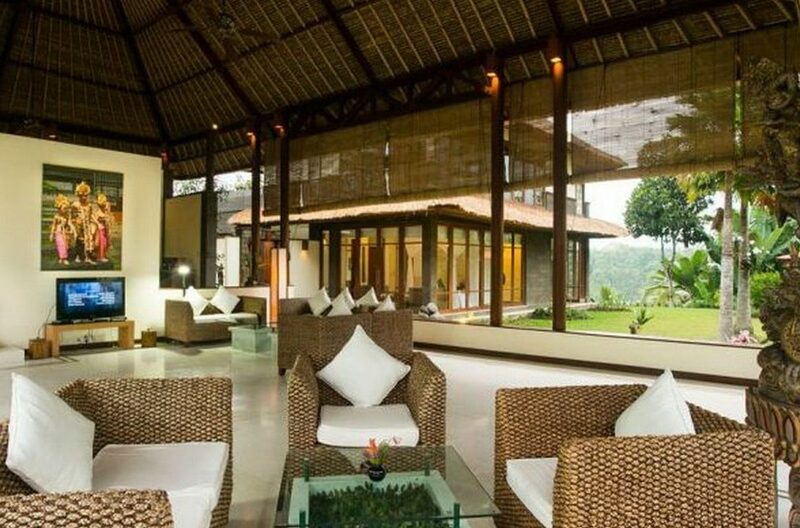 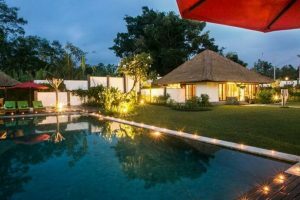 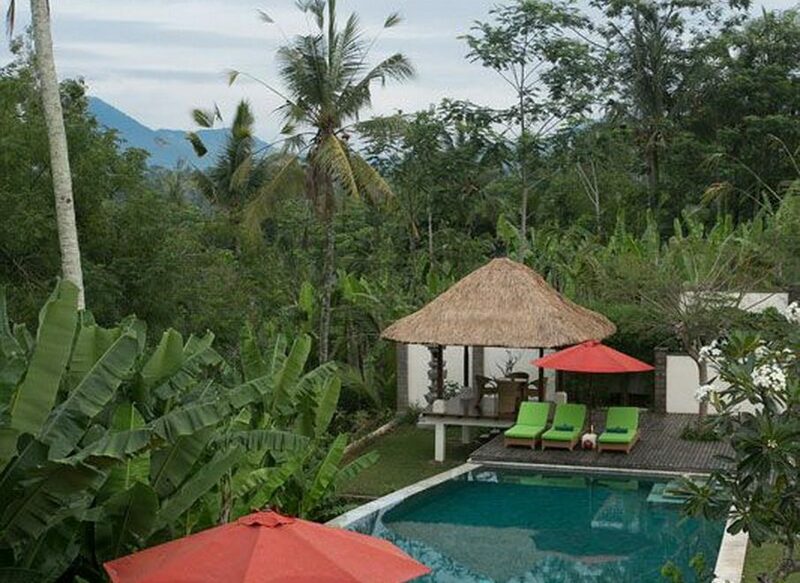 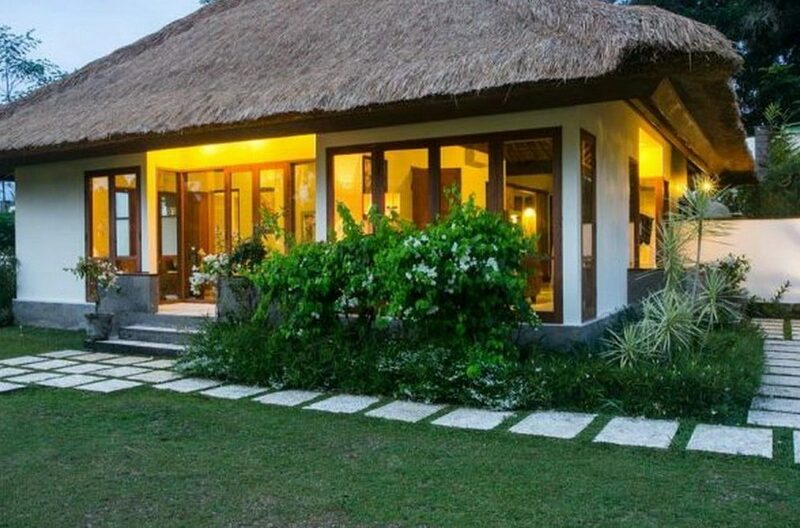 Villa Vastu in Ubud is a magnificent tropical country retreat with 4 luxurious bedrooms and is surrounded by peaceful rain forest on the outskirts of the cultural hub of Ubud. 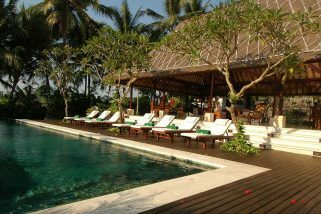 If you are looking for a picture of undiluted tropical luxury, there is none better than Villa Kanti. 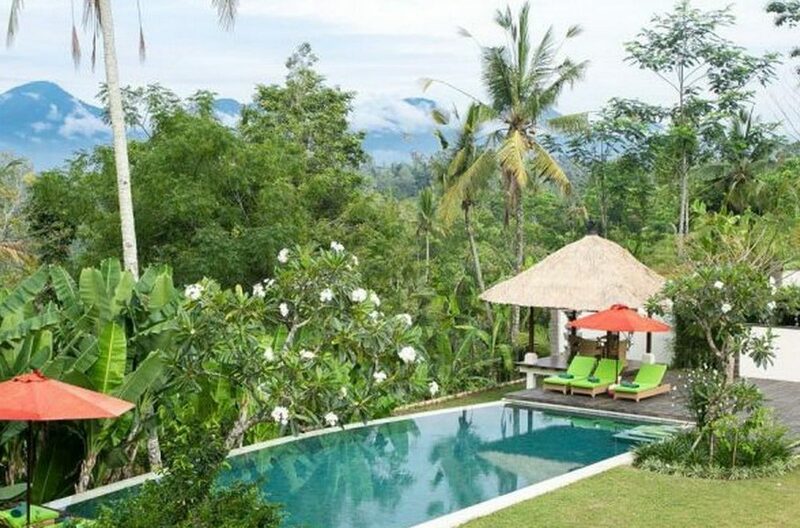 This magnificent 7 bedroom Ubud villa is tucked away in the rainforests of Ubud, near a small village, with bewitching views over the rugged peaks of Bali’s interior.